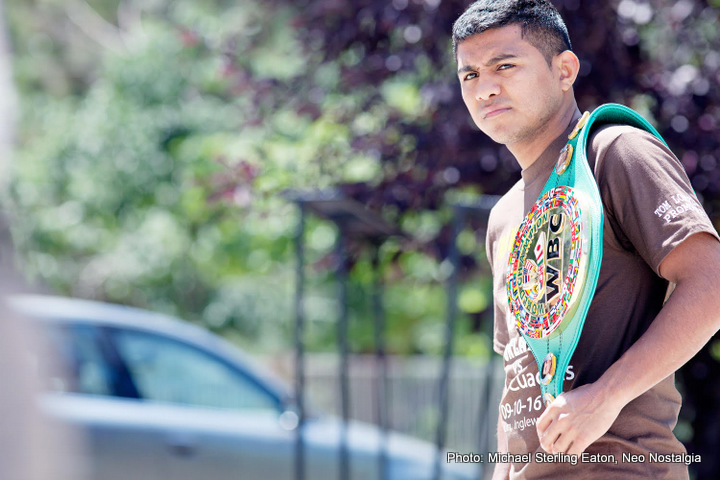 Though he strongly considered retirement after suffering back-to-back defeats at the hands of rough, tough and hard-hitting Thai fighter Srisaket Sor Rungvisa, former Pound-for-Pound king Roman “Chocolatito” Gonzalez is set to return to action in May, and on a big stage – on the May 5 Gennady Golovkin-Canelo Alvarez rematch show (which we assume will still take place despite all that has happened). According to a tweet put out by Nicaraguan boxing writer Enrique Armas (and picked up by Irish-Boxing.com) Gonzalez, 46-2(38) has a short-list of four names when it comes to who he may fight in his ring return: Jamie Conlan of Ireland, Iran Diaz and Hernan Marquez of Mexico and Luis Concepcion of Panama. It seems Gonzalez, now aged 30 and inactive since the return loss to Sor Rungvisai, which took place in September of last year, will not be dropping back down in weight (Gonzalez winning world titles at minimumweight, light-fly and flyweight, before being derailed in his attempt to win honours up at a fourth weight class). In terms of styles, all four of the fighters listed as possible foes have exciting and aggressive styles (Conlan especially; his wars being legendary in the UK), yet at the same time, Gonzalez will likely be quite heavily favoured to beat either man if he faces one of them in his return. As to whether or not Gonzalez can become a world champion again, or come close to regaining his former status as one of the sport’s very best, that is a different question entirely. Speaking as a UK fight fan, it would be great to see “Irish Mexican” Conlan get a chance to share a ring with the future Hall of Famer. Conlan – who has given us two absolute classics, against Junior Granados and Anthony Nelson (albeit at a lower level than the level Gonzalez operates at) – was beaten by Jerwin Ancajas in a November 2017 world title shot, yet he would no doubt be motivated big time against Gonzalez. Who knows, if these two fight on May 5, the action may well prove special. Either way, and whoever he fights upon his return, it will be good to see the Nicaraguan great back in action. Gonzalez suffered a heavy KO defeat at the hands of the southpaw from Thailand, but it remains to be seen if any other fighter is capable of beating him in such a manner.